The world’s first Unique Deck Game! You can call upon the fierce and uncontrollable nature of Untamed with the Mighty Tiger Playmat! The Brute Force Playmat features an explosive art piece that highlights the raw power of Brobnar. The Into the Underworld Playmat offers a glimpse of the furnaces and torture chambers that are home to the demons of Dis. On the Positron Bolt Playmat, you'll see an electric art piece featuring one of the scholars of Logos,. Feature one of the gleeful minions of Mars with the Martian Madness Playmat! Pledge yourself to the House of Sanctum with the Raiding Knight Playmat, featuring an ethereal art piece revealing a celestial warrior. The Finishing Blow Playmat captures the moment of a sudden strike, characteristic of the scoundrels of Shadows. 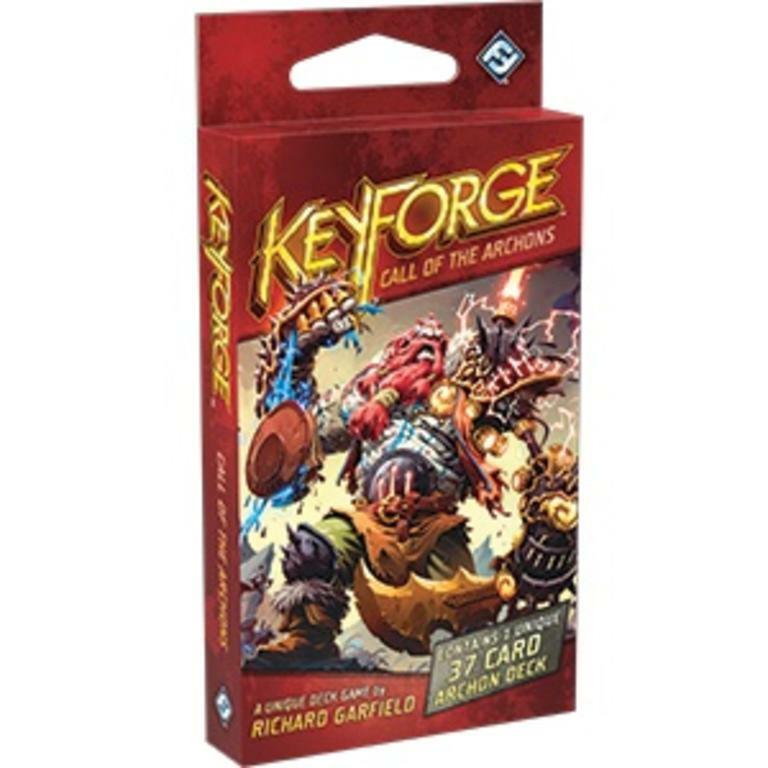 Field your Archons' spectacular clashes in style with the Architect’s Vault Two Player Gamemat for KeyForge: Call of the Archons! As you race to gather Æmber and unlock the Crucible’s hidden Vaults, the Keyforge: Call of the Archons Starter Set is the perfect place to begin your adventures.